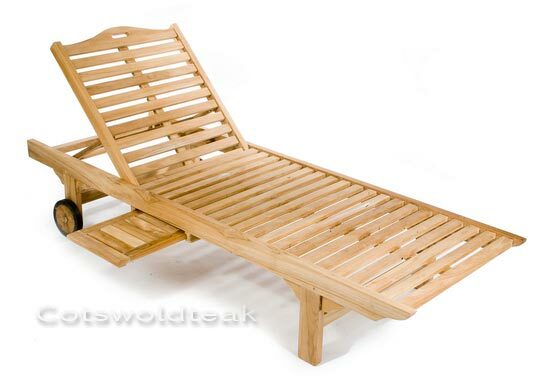 Sun lounger for the garden, patio or pool side. 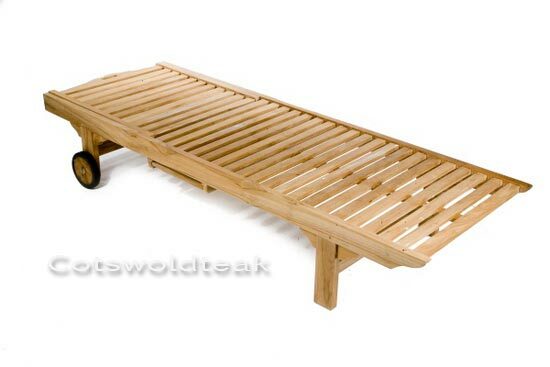 The Cotswold Teak Sun Lounger is a multi-positional Sun Lounger, the back rest can be placed in 5 different positions including being completely flat allowing you to sun bathe on your front or back. The Lounger also has wheels that make it easy to move around to follow the sun or indeed to find the shade.The lounger has a pull out drinks shelf concealed underneath, the shelf opens to the left or the right and stores underneath on the sliders. The Sun Lounger comes with a green cushion. 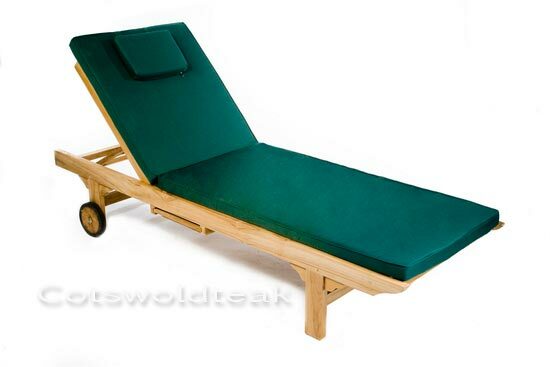 Click the button below to add the Winchcombe sun lounger with cushion to your wish list.